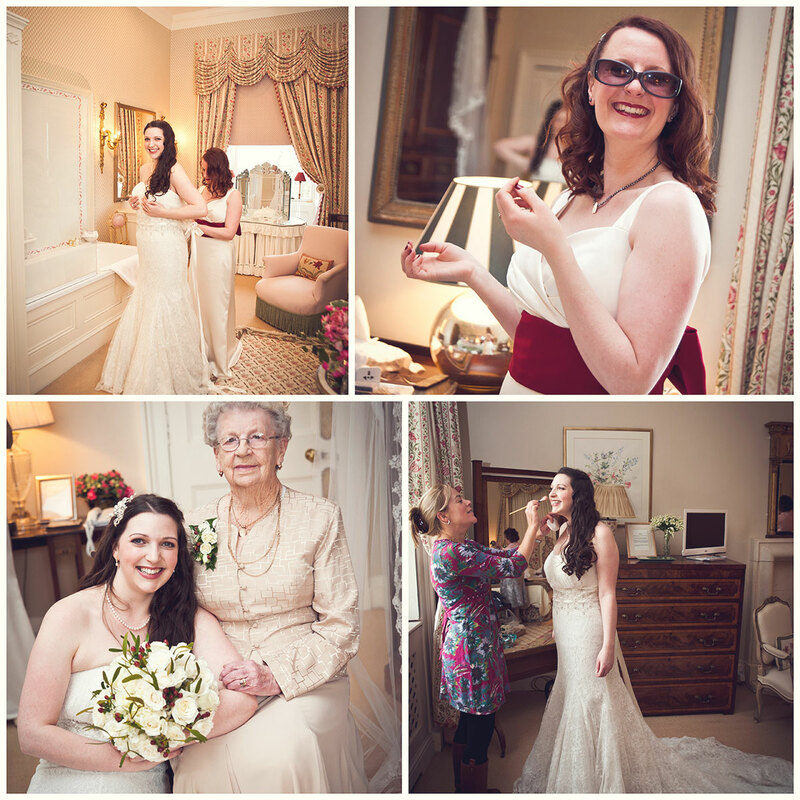 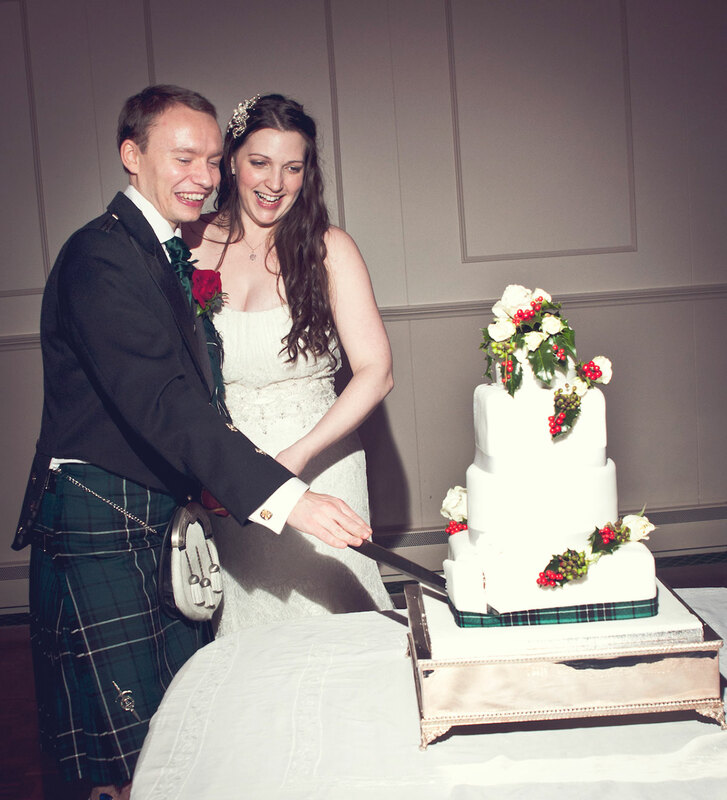 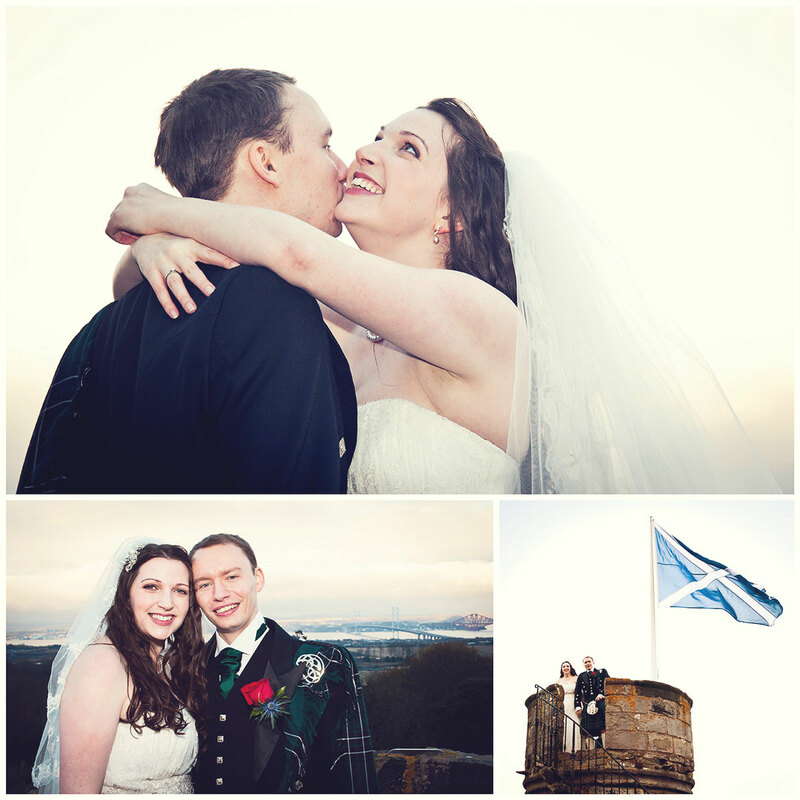 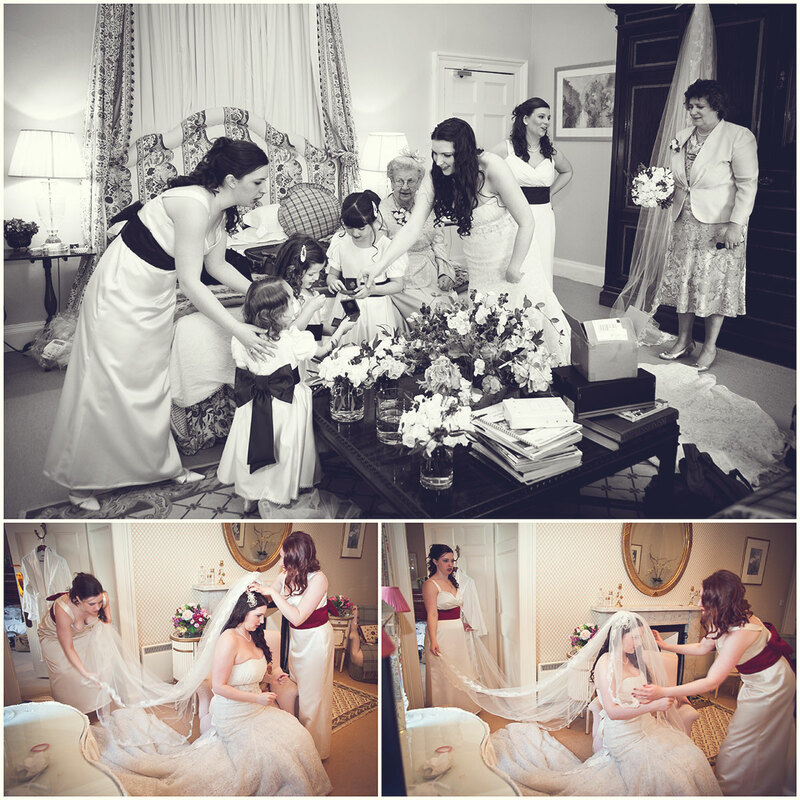 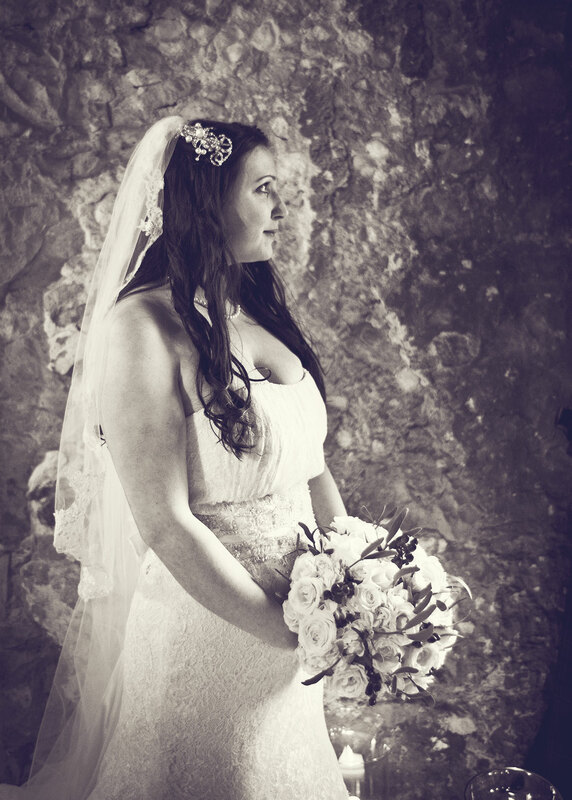 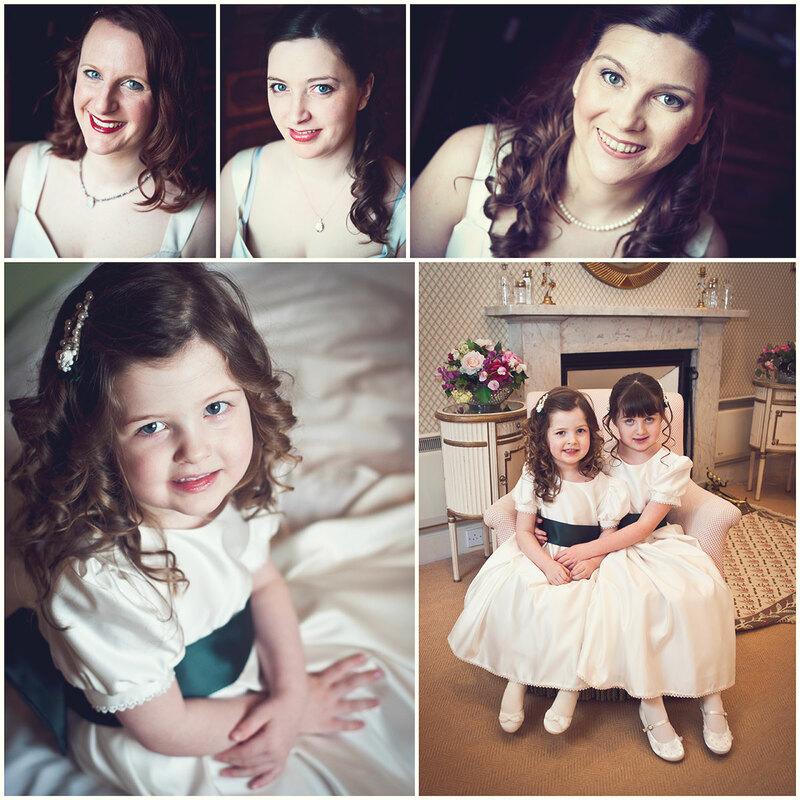 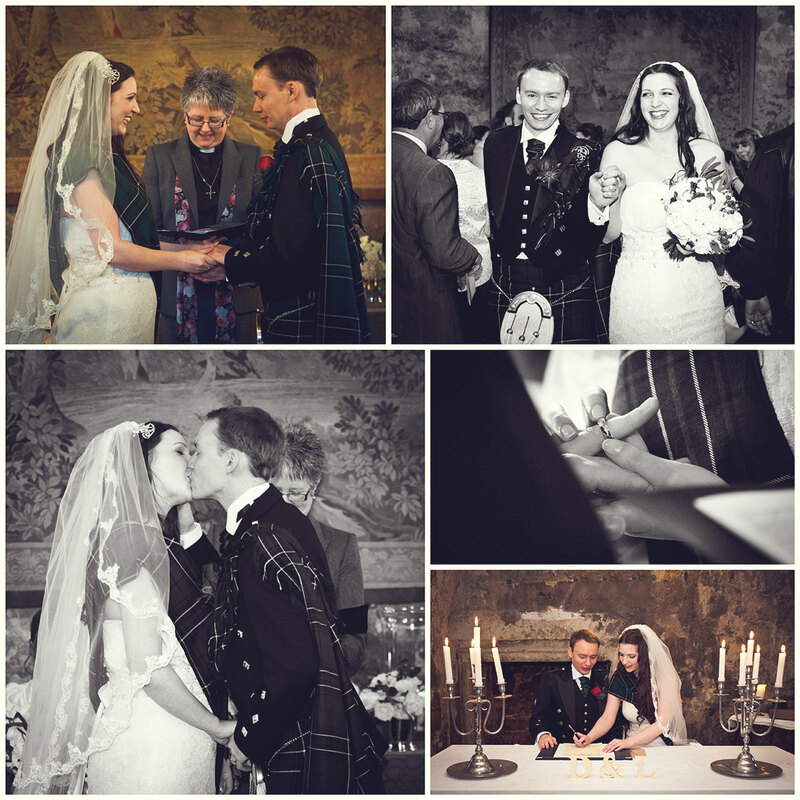 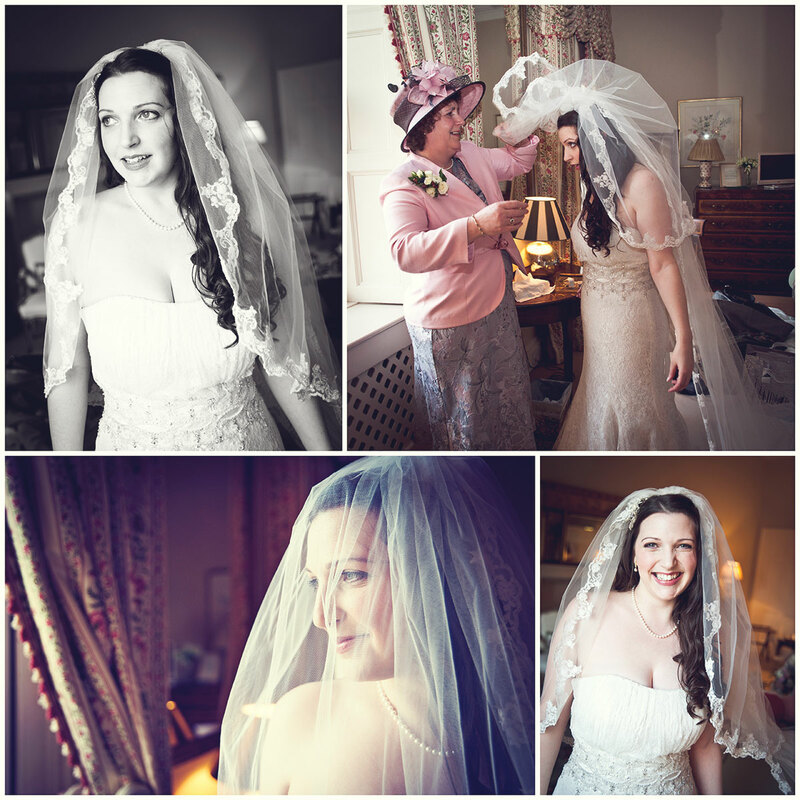 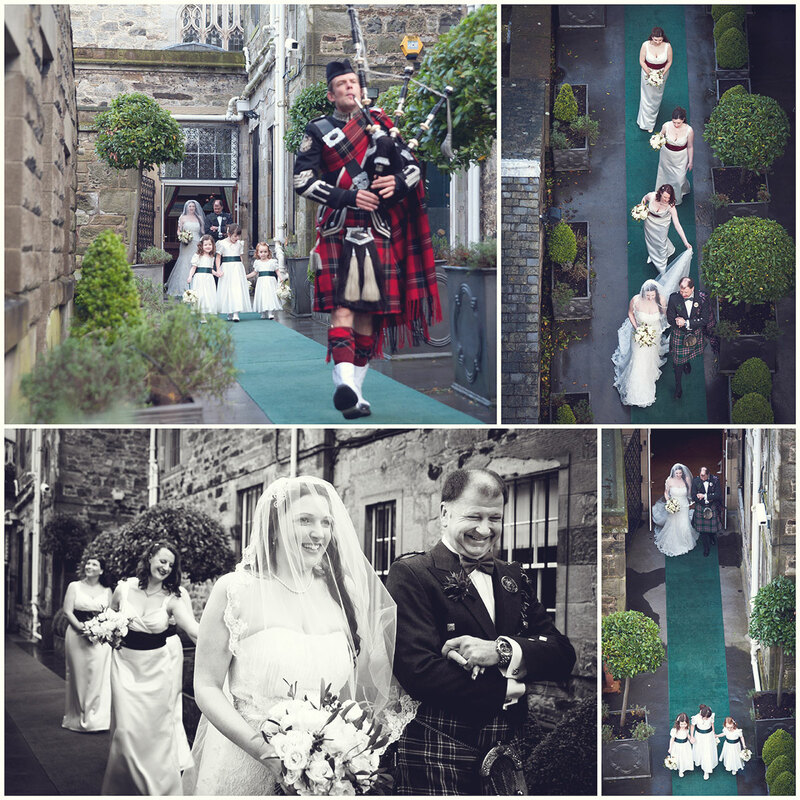 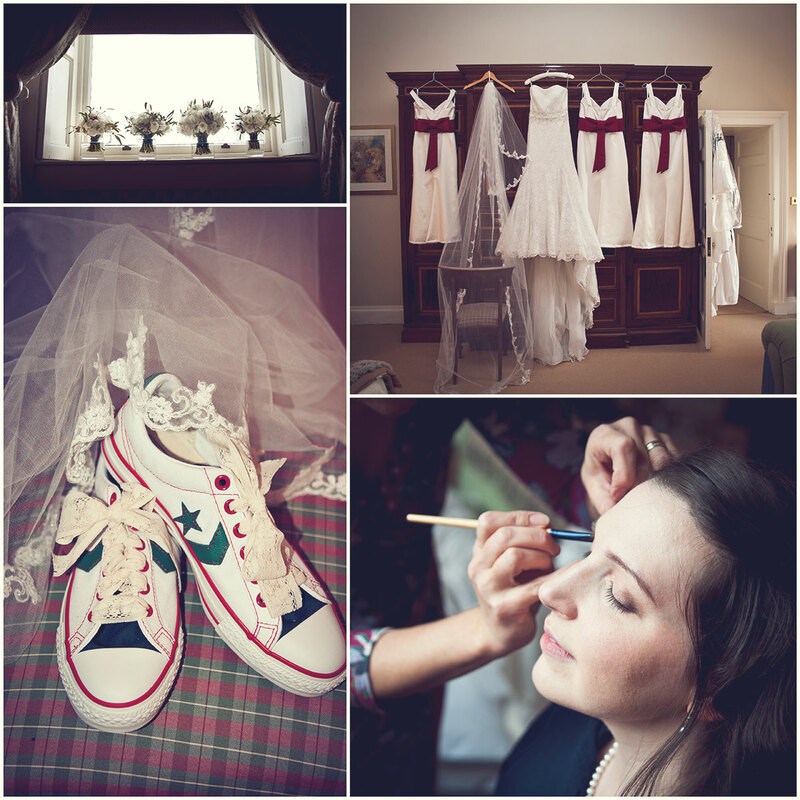 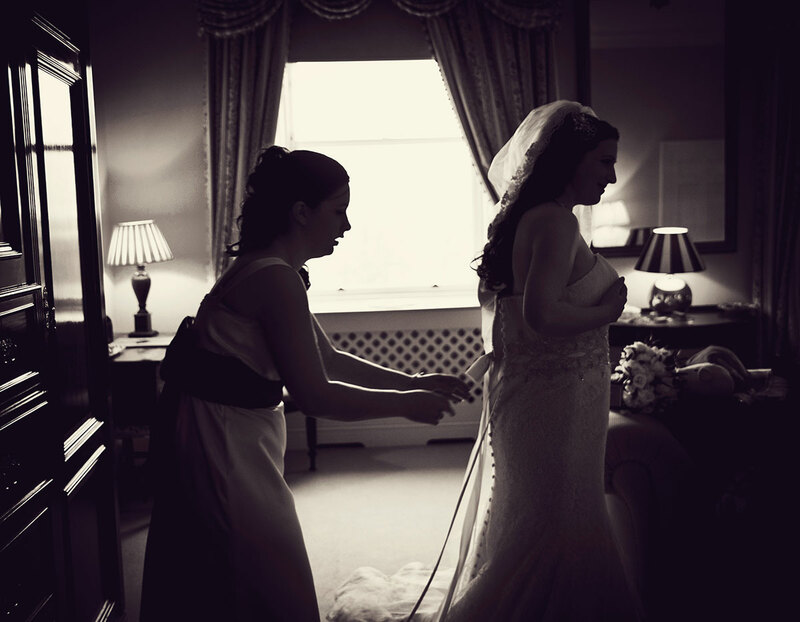 Louisa and Daniel's celebrated their wedding just before Christmas 2012 at Dundas Castle, Edinburgh. 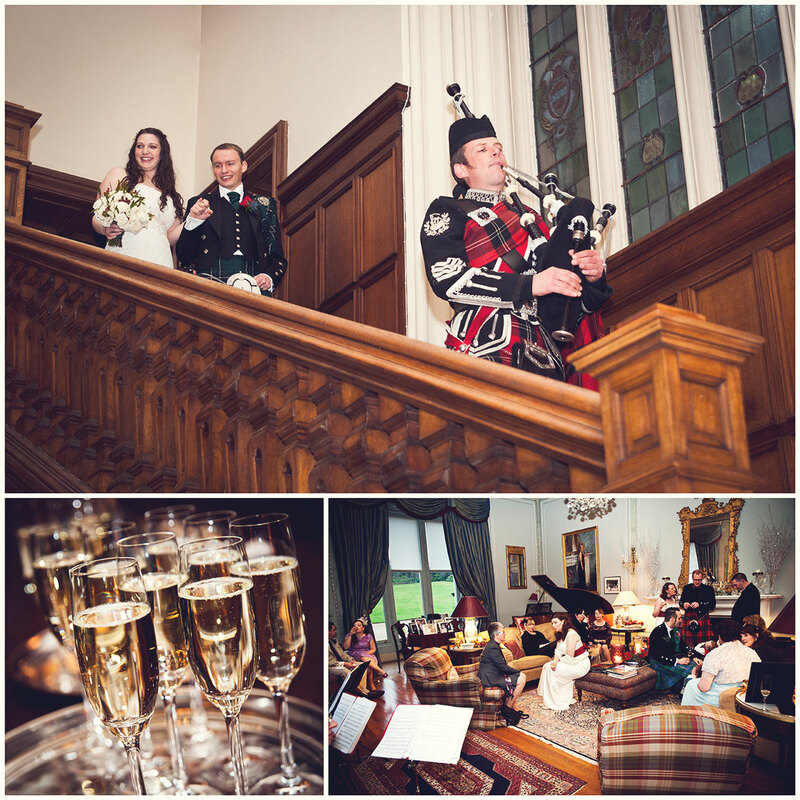 What a lovely venue for a wedding! 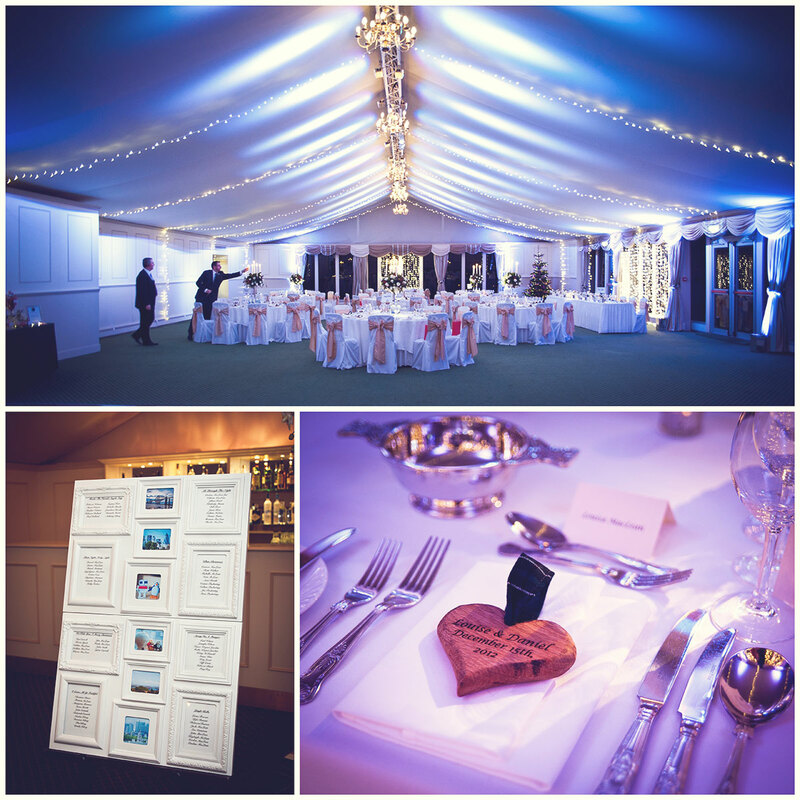 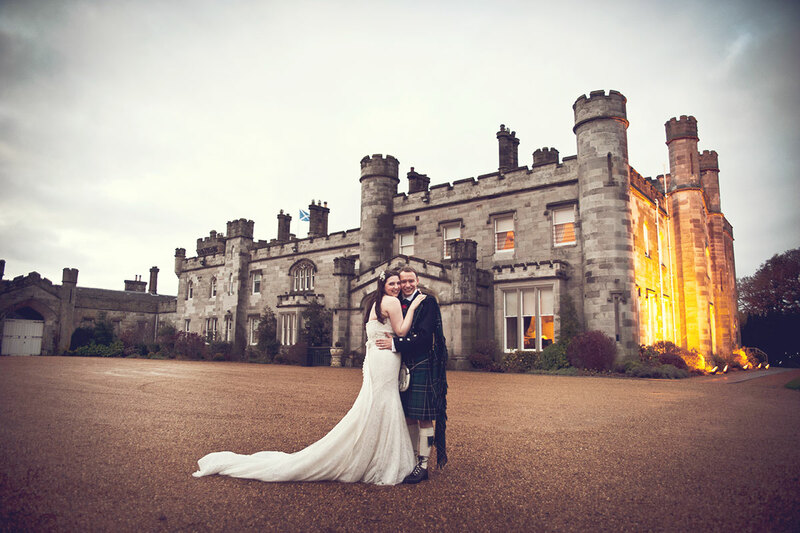 The ceremony took place in the Old Keep of Dundas Castle and the evening reception in the purpose-built marquee just next to the castle. 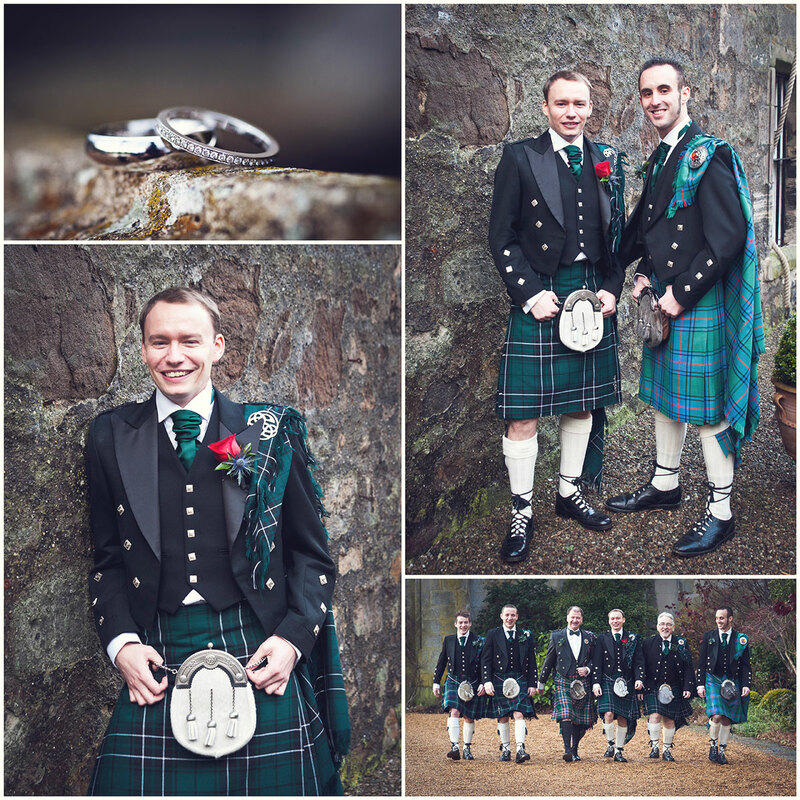 The ceremony took place at 2 pm so we only had little daylight left for some romantic wedding photographs, but we managed to spend a little time with the couple around the Dundas Castle. 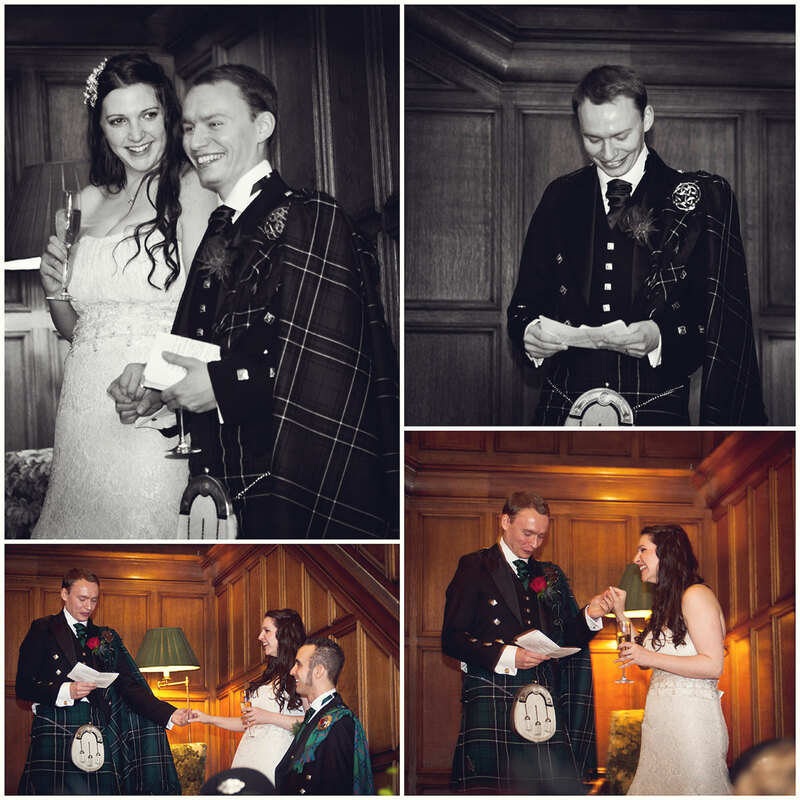 Louisa and Daniel decided to hold the speeches on the staircase inside the castle rather than before the meal. 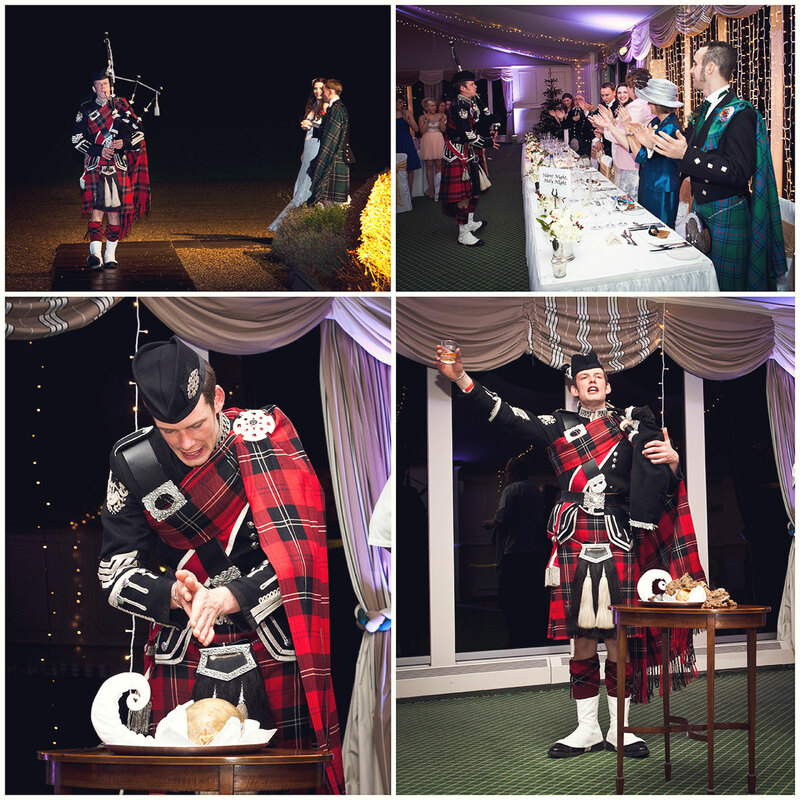 But there was something else planned - Roddy the Piper - performed an "Address to the haggis" - This is a poem written about Scotland’s national dish, The Haggis. 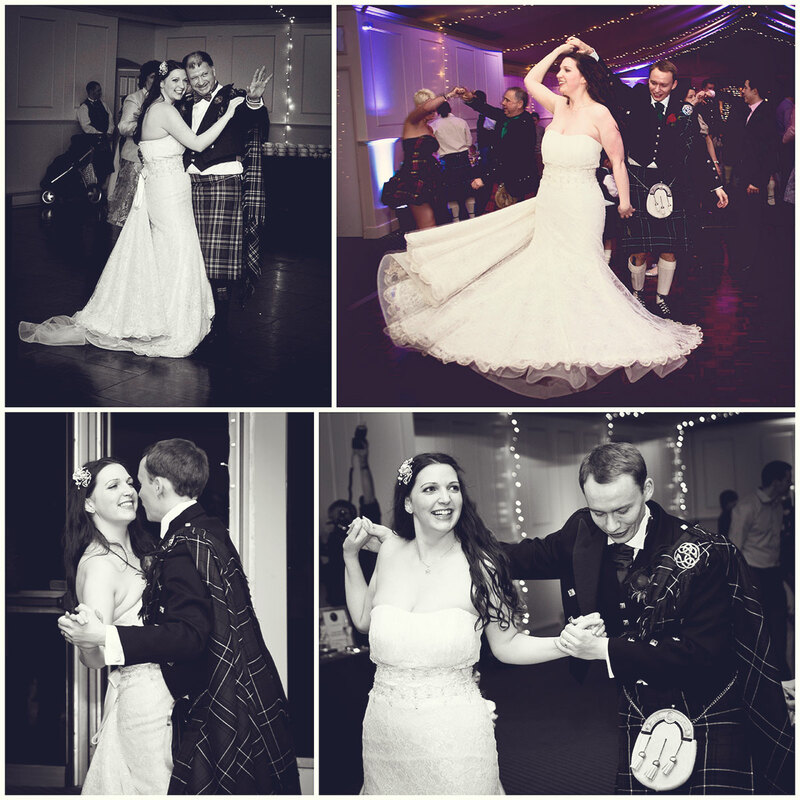 It's great fun to watch, as it is performed in broad Scots accent. 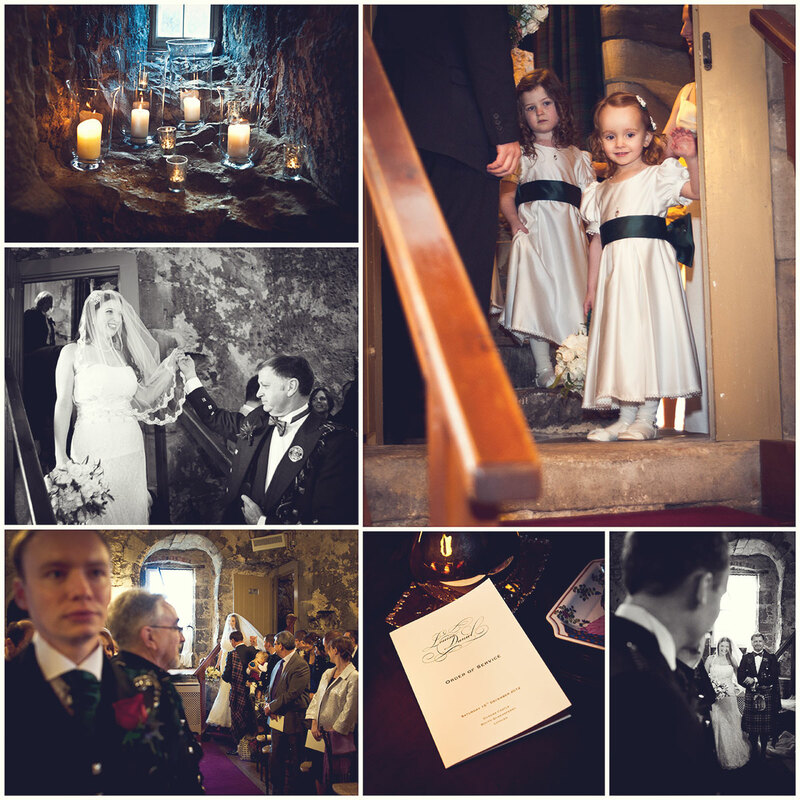 There were a few puzzled faces in the audience. 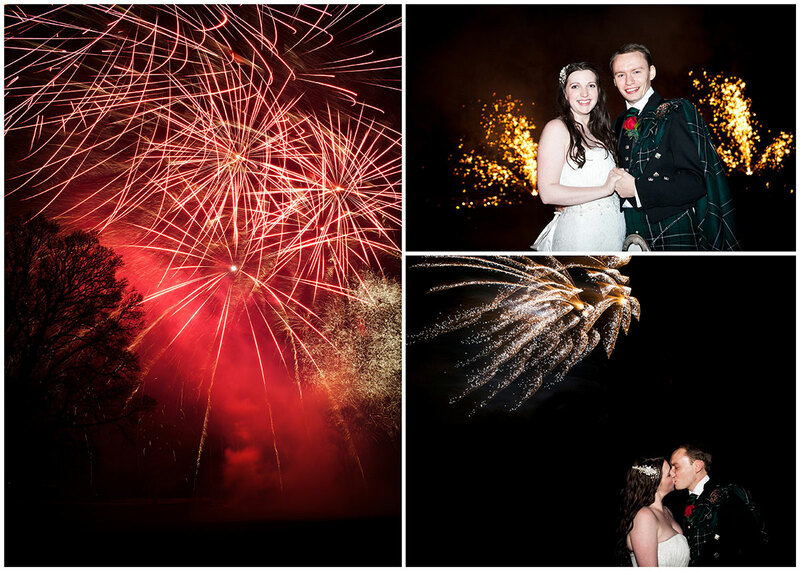 Nobody knew that the couple had organised Fireworks after the first few dances. 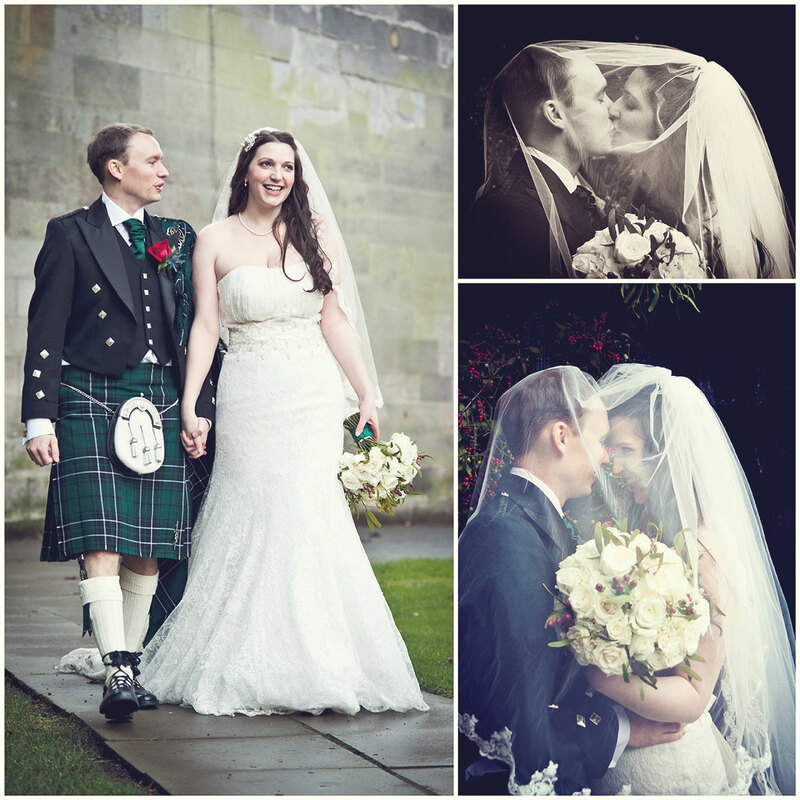 Even though it was very cold in December, everyone enjoyed it. 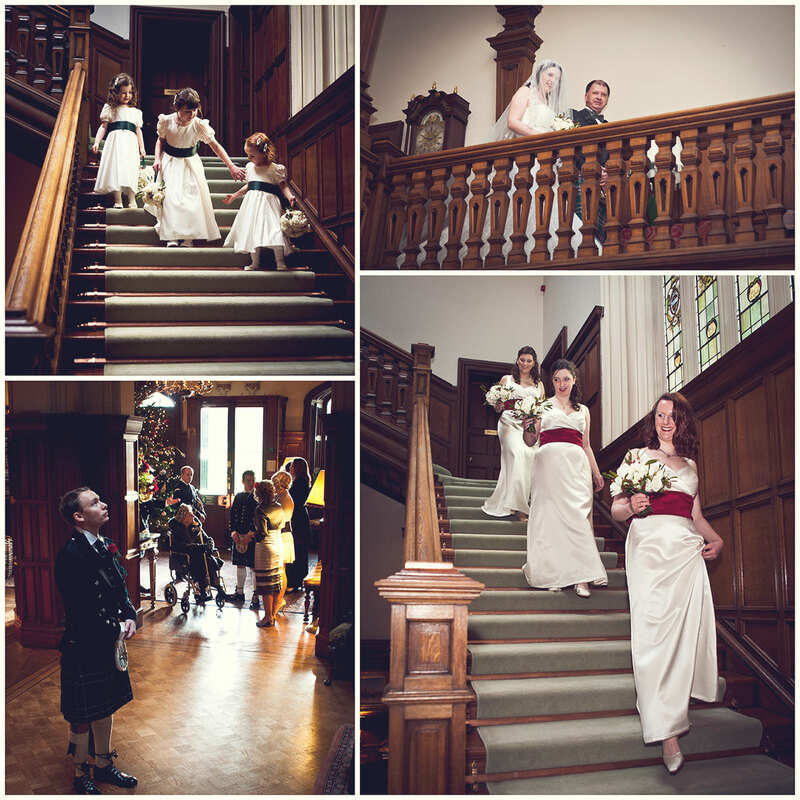 Great day for a romantic and Christmas Winter Wedding at Dundas Castle, just outside Edinburgh.